By November 2013 I received these photos from Frank Jones, showing the disassembly for restoration of a classical Wommelsdorf condenser machine, of which I had already made a version. The photos show all the details of the construction and even allow an exact reproduction of the machine. 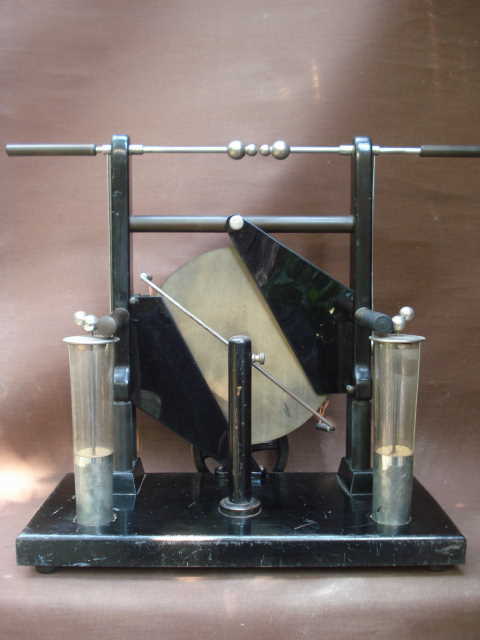 This particular machine was originally poorly assembled, with base holes incorrectly aligned, and so probably never worked properly, a possible reason for its survival in so good conditions. Charge collector brushes and plugs for the Leyden jar switches. Details about the parts and their dimensions can be found on these notes, by Mr. Jones. 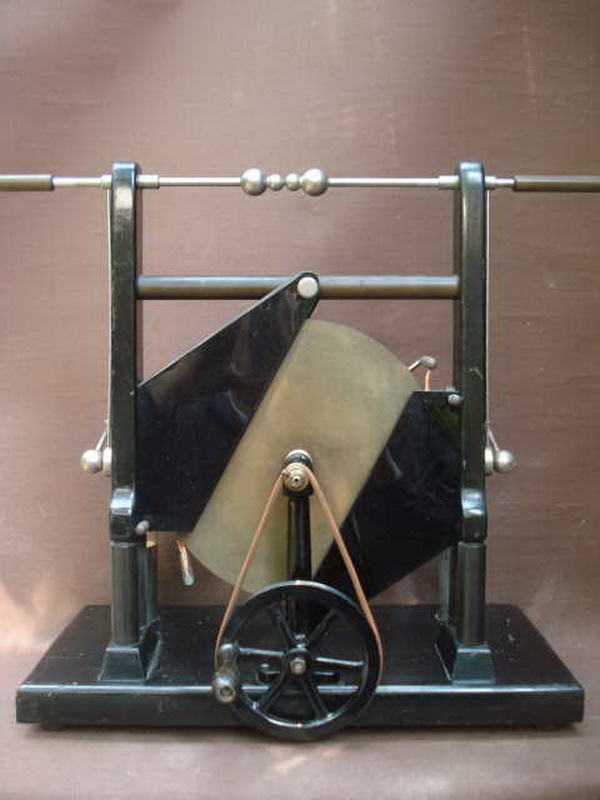 Below are pictures of another Wommelsdorf machine belonging to Mr. Jones' collection. It has a box for transport and a different structure.